By Issacus Divus, in 'Other Languages', Mar 28, 2019. I will post Scottish things here, as I get the time. You're Scot-free to do so in this particular part of this forum! BTW, it's a shame that Scottish Gaelic is so endangered! I'll do both, I want more Gaelic than Scots but I might start with Scots. Then again, I'm divus, so I'm scot-free to do anything. Scottish ( you know, Gaelic) has not been introduced strongly into the academics. I don't force Ethnic law upon anyone, but why wouldn't you want to preserve this? Your culture? And a beautiful culture, at that. Terry, what took You so long to find Me? Why didn't You give me a pun sooner? Alas, I have been searching and awaiting You. Scots Gaelic is a language born out of the Brave Island. Scaelic is a Indo-European lengye, as you know. She has a default verb-subject-object way. Tha an cat sin le Iain- Ian (Iain) owns that cat. Literally "Is the cat that with Ian". Sounds like an interrogative sentence if you speak English, but it's not. One friend, two friends, and three friends. Ye, you have to put them into Singular forms, Dual forms, and Plural forms. I'm also going to upload a surprise related to that soon. Quasus and Pacifica like this. It's coming, I'm working on it a bit more. The personal pronouns, of course. 3rd Masculine e esan -"him"
Plural 1st sinn sinne -"we, us"
3rd iad iadsan- "they, them"
Note that plural sibh is identical to "respectful" sigh- you'll come across this many times in language. That’s a great thread, I’ll be following it. it’s hard to recover the pronunciation from the spelling. However, I’ve found a dictionary with phonetic transcription and recodrings: https://www.faclair.com/ so I think I’ve got an idea how it all sounds. ‘Thusa’ appears to be just /u/. No idea what that capital N stands for. Is Scottish Gaelic mutually intelligible with Irish Gaelic? Sadly both languages are terribly endangered. A lot of the dialects aren't. But, individual words and phrases are for the most part, so one can use similar vocabulary and learn mutual intelligibility. Look thou here and here. Have you heard of the Claymore? If so, did you know it is Scottish? I have to admit, I wanted to talk about Germanic culture so strongly that I brought up swords. 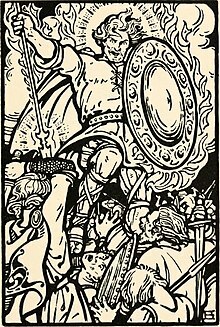 I'm in Norsk and I've been trying to connect the Norse to the Gaels. The Great Gaelic Divide of Mutual Incomprehension lies about half-way down Co. Mayo and roughly across to Co. Louth. It isn't between Scotland and Ireland at all. Sadly, the loss of so many Irish speaking districts in NE Ireland and SW Scotland has caused the exacerbation of dialectal differences as they are now separated by huge swathes of English-speaking territory and are rarely in contact. My late father - a native speaker from North Donegal - had no great difficulty in understanding Scottish Gaelic speakers on TV, but hadn't a clue what speakers from Kerry and Cork were saying. Radio and TV have helped close some of the gaps in Ireland itself and hopefully, Gàidhlig/Gaeilge programming in the future will help do the same for the two nations before they become separate languages (although many people, with good cause, regard them as distinct languages already). In what way? There are loads of Viking loanwords in Gaelic. Ye, but I mean the people. And I know about the Norse-Gaels. I want to jump into the Legends and Culture right away, but we've got to cover more language grounds first. Here's a pronunciation guide with sound. Chan urrainn do dhuine 'sambith seirbhis a dhéanamh do dhà mhaighstir. do not use the pronoun sinn. The inflected form includes the 1st person information. The Imperative (command) form of the verb is usually identical to the dictionary or root form of the verb. When the verbal noun is used, another auxiliary-type verb is used to encode tense, aspect and/or negation. However, the verbal noun carries the lexical information of the verb. In most cases the form of the verbal noun is the plain root or a suffixed root, where any of the following suffixes attach to the root: -ail, -aich, -amh, -inn, and -adh. "I was going to the shop." If you learn the conjugations and moods, Scaelic will become a real lengye for you. 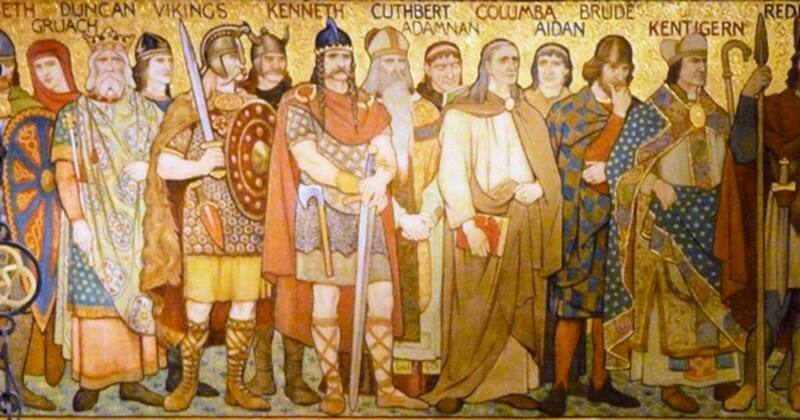 Make Fionn proud, and take up the claidheamh-mòr to fight for this beautiful, dying lengye! While that's being fought, why don't we look at Scots? Scots is a maybe or maybe not case in linguistics. I've already spoken on it. None. You naturally can understand Scots. The video is up for you. Gaelic verbs don't really have a present tense form. The only word that has a real present tense is Bi, which means "be". "Present tense is typically expressed using the verb bi in combination with a verbal noun in an auxiliary construction. ", as quoted from the wiki. Tha Muirgheal a' pògadh Pòl. This literally means "Muriel is kissing Paul", but it can mean either the progressive or simple present. Like Latin, but instead of the simple form being standard, it's the other way around. Hey, at least it's Scottish. I pretty much gave away the theme of My surprise in another thread, but I'll still do it for the sake of all things Scottish. I don't like empty promises. Looking on these posts, it seems as though I am delaying things all together for this thread. I assure and then reassure you that I am devoted and able for Scottish. Speaking of tales, this reminds Me of My Father telling the old tale of the family actually having a Scots-Irish ancestor.